Llanedeyrn and Pentwyn are relatively new suburbs of Cardiff. They are densely populated with clusters of houses built from the 1960's. The types of accommodation varies to suit every budget. There are ex-Council flats and terraced houses, privately owned semi-detached and detached as well as an ample number of town-houses. New private housing estates are being built giving testimony to the attractiveness of these areas for living in. Housing provided in the Llanedeyrn and Pentwyn area is extremely popular with students, professionals and families with young children. The students study at either Cyncoed College or at University Hospital of Wales. The Estate has excellent schools. There is also ample employment provided by the local Industrial Estate on Pentwyn Road and Caxton Place, the University Hospital of Wales hospital and BUPA private hospital. Llanedeyrn and Pentwyn also has the great advantage of having expanse of greenery with woodlands, parks and playing fields on its doorstep, excellent communication links to city centre and to the major roads (M4, A470 and A48) only minutes away. Llanedeyrn derived its name from a monk in the sixth century, a Celtic saint named St.Edeyrn. It was in the sixth century that two monks were given the task of spreading the faith, converting the masses and establishing areas of worship. Naturally this would require land to build churches and carry out sermons, water for baptism, space to cultivate for food and a place of rest for the dead. The first location chosen by the duo was LLanishen. The area commemorates the first of the two monks St.Islan (Llans + Isan). 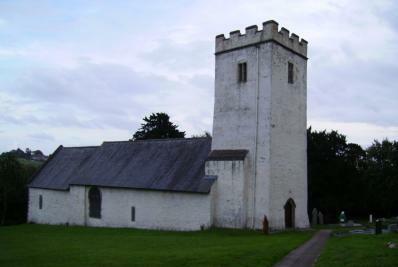 St Edeyrn was reputed to have travelled widely and as a result there are churches in North and South Wales dedicated to his memory. St Edeyrn as part of his labours built a wooden church at River Rhymney. The church was later rebuilt by the Normans in the 15th century and has over the centuries provided Christian teachings and service to the local parish. Llanedeyrn and Pentwyn Estate origins started when Cardiff Council acquired large acres of land. The Council purchased the land from the Kemys-Tynte Estate when it was broken up in 1920s. Most of this area remained unchanged until the 1960's. Cardiff was expanding rapidly in the 1950's and 1960's as a large number of men returned from active service after World War II and from National Service. Many of the servicemen were marrying and having children. The Government at the time were pressurised and needed to raise housing standards. As a result the cities boundaries quickly grew and enveloped Llanedeyrn Village. It was than in the late 1960's that the Council decided to create additional low cost housing, an estimated 3,500 homes were to be erected. The first estate was opened in 1968. Cardiff Council provided a selection of prefabricated and terraced houses and numerous 2, 3 and multi-storied flats were constructed to house 12,000 Cardiffians. The Llanedeyrn and Pentwyn is currently seeing another major residential expansion with the sale of land previously owned by Matsushita Panasonic adjacent to Pentwyn Road and Wyncliffe Road. New modern semi-detaced, detached and Townhouses with their matchbox sized gardens. is extremely popular as there is extensive area of woodland, a lake and open playing field. The woodland dates back many centuries and consists of mainly Oak, Ash and Alder trees. 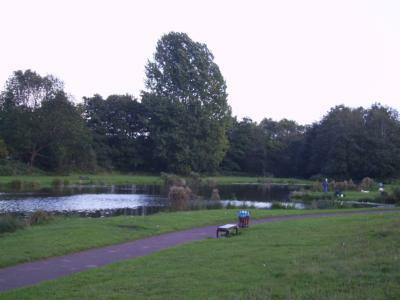 The man made lake and the surrounding park was set up by Cardiff Council with construction of Pentwyn housing estate. The lake was created by blocking the flow of one of the local streams flowing into River Rhymney. The lake has proved to be very popular with the local residence and amerature fishermen. Due to the parks importance for the environment and wildlife, parts of the park are designated as a Site of Nature Conservation Importance. 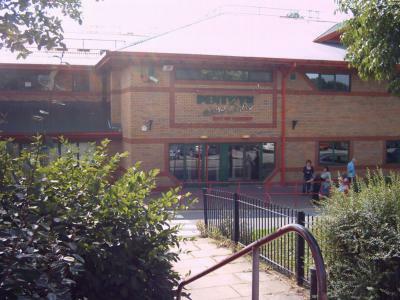 Situated adjacent to Pentwyn Leisure centre. BUPA offers comprehensive private hospital care to patients from Cardiff, Newport, Swansea and all parts of Wales. The hospital offers a wide range of medical and surgical treatments, fertility, cosmetic and sports related treatments. The company consisting of 2 units was originally set up in the late 1970's. The Colour Televisioin parts were shipped from Japan and assembled on site for sale to the UK and European markets. The competative price and high quality products soon required Matsushita to undergo several expansion program in step with customer demand for colour TVs, Microwave ovens, Satellite decoders to name a few products. Adjacent to St.Edeyrn Church. This is an Ansells Real Ale pub. This pub dates back to the fifteenth century. Food is served at Lunch and early part of the evenings. Cosy atmospherer. The quaity of food is good and reasonably priced, the combi starter for 2 is excellant. They serve Christmas Lunch at a staggering £45.00 a head. Standard opening hours through the week and weekends. CCTV in operation overlooking the good sized car park. Secure Beer Garden overlooking Old St.Mellons and River Rhymeny. Built in the early 1970's. It takes it name from the local housing estate, the Pennsylvania Estate. This is a Real Ale pub. 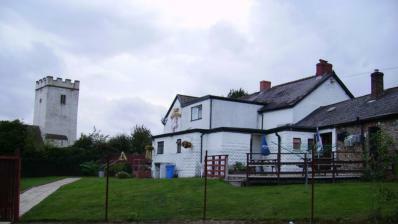 It has a large Beer Garden and so is very popular with the residants of the estate. Normal opeining hours with 12 o'clock closing at weekends. Attractions include Disco and Koraoke evenings. Built in the mid 1970's to keep pace with the expansion of Llanedeyrn & Pentwyn Estate. This is a Real Ale publocated between the Pennsylvania and Chapel Wood estates. This pub is somewhat smaller than the New Penn but is just as popular. The reason could be the sunny Lounge, the outdoor seating and the greenery surrounding the Retreat. 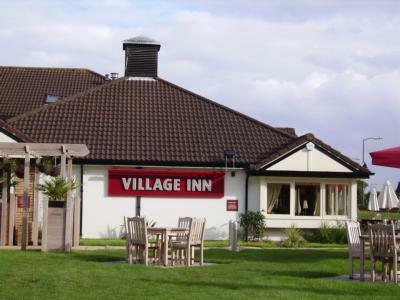 Originally built in 1975 but has gone through some recent refurbishments. This is a Real Ale pub. Layout is open-plan and spacious. Atmosphere is bright and lively. The gas effect fires gives the place a cosy feel. Good value Pub Grub is served during the day and early evenings. There are no extensions to opeining hours at weekends. Built in the mid 1980's part of the Punch Tavern chain. A foreboding place but popular with local Soccer and Rugby fans, a place more suited for a boys night out. Regular Karaoke, Darts and Skettle events organised. Standard opening hours throughout the week and weekends. Built in the late 1980's. This is a Real Ale pub. It is located at the roundabout adjacent to the old Panasonic site and BUPA hospital. A very popular pub suiting a wide age range, drawing most of clients from the housing estate and from the Industrial Estate nearby. There is good parking, a spacious Beer Garden, and reasonably priced food. The centre was opened in 1989. The centre offers a wide range of activities for all ages, abilities and sexes. There are 2 large car parks which proved very convenient when our Aikido (Cardiff Sho Bu Kan Club) Club organised a course attended by over 150 people. The indoor Swimming pool is brillant, there are slides and a wave machine. The design of the pool allows all age groups and abilities to enjoy the water safely at the same time. There are 4 badminton courts, Multi-purpose Sports Hall and 3 Glass backed Squash courts. Segregated Male and Female, dry and wet changing facilites. Other facilities include Fitness suite, Community suite, Licenced Bar, Poolside Cafe offering a selection of hot and cold snacks. Programs on offer include adult and children swimming lessons,Fitness five-0 for the over 50's, free swimming for the over 60's, Aerobics, Yoga and soft play. Skatepark located in the car park. You can save money by joining the Max card or Stretch sechemes. Located on the Pentwyn Leisure Centre grounds. The green and the flower beds are well and expertly tended. Seating on the perimeter of the playing field allows for a lazy Sunday afternoon session. This park envlopes much of the woodland, open fields and playgrounds around the Pentwyn and Llanedeyrn estates. The park provides both formal and informal recreation. The council also manages the fish stock in the local lake at the bottom of the hill on West Circle way. The popularity of the lake includes the local amerature fishermen and a family of Swans, two adults and 2 ginnets. Bryn Celyn Primary School. English medium school. Glyncoed Infant School. English medium school. 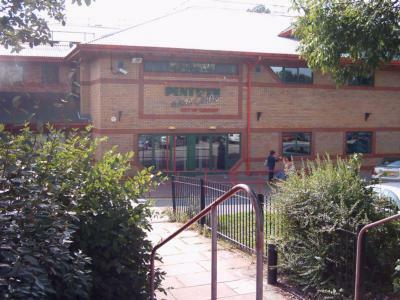 Glyncoed Junior School. English medium school. Llanedeyrn Primary School. English medium school. Llanedeyrn High School. English medium School. Springwood Primary School. English medium school. St.Bernadette's Roman Clatholic Primary School. English medium. St.Davids Church In Wales Primary School. English medium school. St.Teilo's Church In Wales High School. English medium school.